Our Ground Transport Vehicles are specifically customized for long distance Medical Transports. We handle most of the process to take stress off of you. Thousands of patients transported in the air and on the ground, but each with the care and concern we would give our own family member. Quality medical care provided during the entire transport by experienced care team members. Long distance medical transport via ground doesn’t have to be on an uncomfortable stretcher. Our dedicated drivers have professional experience, impressive safety records, and a caring approach. Med Transport Center is a professional non-emergency, long distance medical transport company providing medical transport all over the continental Unites States and lower Canada. Our company has more than 30 years of experience in transporting thousands of patients in the air and on the ground. We are a highly reviewed Private Patient Medical Transport Services provider with an A+ rating with the Better Business Bureau and bring that professionalism to every transport we provide. We truly care about the patients we transport, the family members of the patients, the medical facilities we support, and our team members. Our caring approach comes through in everything we do. We focus on your needs and the patient’s needs so that we can provide the best Medical Transport for Disabled Patients and help you through the transport process with ease. Whether you choose for your medical transport to be done by ground or by air, you can be assured that our team of experienced professionals will provide the best medical transport at a price that is truly the best value in the industry. We provide Interstate Medical Transports for anyone who is medically stable, yet still requires medical support during a transport of over 300 miles. This might be someone in a hospital, a skilled nursing or rehab facility, or even a private residence, who needs to travel to another facility or residence a long distance away. Give us a call and a reservation team member will answer any questions you might have. They will even review the patient’s needs and suggest whether MED Coach or MED Flight would be best for your Medical Transport Services. They will check availability, provide a quote, and help you make your reservation when you are ready to schedule the medical transport services with us. MED Coach is our amazing ground medical transport service. Our custom designed coaches will provide you with First Class Care and Comfort. We believe our incredible coaches are the best ground medical transport vehicles available for long distance medical transports, state-to-state or coast to coast. Our MED Flight air ambulance service is dispatched from the location closest to your departure city to allow quick, efficient, and a more cost effective medical transport service. The medical team is made up of a Flight Nurse and a Paramedic or Respiratory Therapist, based on patient needs. Why Choose us for Your Medical Transport? Choose a tab below to find out why we are exactly what you are looking for in a medical transport company. Our Operations department coordinates each long distance medical transport from start to finish. Our experienced coordinators will work with the facility staff to receive medical information and communicate patient needs during the medical transport. Our coordinators handle all the details and you will receive a detailed itinerary prior to medical transport. We will handle all of the planning for you, so you can focus on what’s important. With the exceptional care offered by our Air and Ground medical transport teams, your long distance medical transport needs are covered. Our Medical Team reviews each patient’s medical information and confirms the medical needs prior to transport to ensure that our transport teams are fully aware and prepared for the specific needs of the patient. You can have peace of mind, knowing that your loved one or patient will receive incredible care. 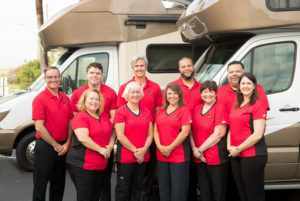 Our Care Team for ground transports for our fleet of MED Coaches consists of two professional drivers chosen for their experience and safety records along with an experienced, compassionate nurse. With a three person team we are able to offer safe and exceptional care throughout the medical transport. Our Air Ambulance teams consist of two pilots, a skilled flight nurse and a flight medic. We are also able to offer a respiratory therapist if needed. We are one of the top rated and trusted long distance medical transport providers with over 30 years in our industry. We have transported thousands of patients across the United States and around the world. We utilize our knowledge and experience to make the transport process as easy as possible for our clients, while providing the best quality medical transport available. With more than 30 years experience providing long distance medical transports, MED Transport Center is built on an experienced team of professionals who offer care and compassion to each client. Reservation Team – Responds quickly to all requests for quotes, answers questions about our services, checks availability of transport dates, and handles the entire process of reserving your transport. Operations Team – Works with the families, case managers, social workers and facilities to inform, plan and coordinate every aspect of patient transport. Medical Team – Reviews medical information and confirms patient needs in order to ensure each patient has the right team and type of transport for his or her unique needs. Ground Transport Teams – Each ground transport on one of our MED Coaches is staffed by an experienced, compassionate nurse and two dedicated professional drivers. Flight Teams – Air ambulance transports are staffed by two pilots and a medical team consisting of a flight nurse and flight medic unless the patient condition calls for a respiratory therapist or physician. Safety & Compliance Team – Tasked with reviewing safety protocols and compliance in an effort to maintain industry leading safety standards. Maintenance Team – Ensures each coach is ready for transport and that we provide the safest and most reliable fleet possible. Below are some of our many amazing Team Members! Transport Team – Highly skilled and experienced personnel for ground and air transports that will provide safe and caring travel for your medical needs throughout the trip. Private Travel – Medical transports via ground in private motor coaches equipped with window blinds, tinted windows and privacy curtains. Private air ambulances with only the flight team, you and your loved ones on the aircraft. Non-stop Transport – Your transport travels non-stop (except for fuel stops). Ground transports stop approximately every 4 hours to refuel. Departure and Arrival Scheduling – Our Operations Team handles all the logistics by contacting the departure and arrival location to discuss the best times and then puts in place an itinerary for the transport. We are one of the top rated and trusted long distance medical transportation providers who has over 30 years in our industry. When you choose us as your non emergency medical transport provider, you can rest assured that we have successfully transported thousands of people in the air and on the ground. Over the years we have continued to improve what we do, including our reservation process, our team member training, our vehicles, the amenities we provide, and every aspect of our medical transport services. We can proudly say that we have become the premier medical transport company in the industry because of our commitment to continually improve. Med Transport Center strives to provide relevant information through interesting articles in a variety of health-related topics including long-distance transportation, downsizing and moving, caregiver resources, residences for seniors and senor care. Check back often and connect with us on social media!